I've been having issues with my 1956 Mark 55E maintaining power at high speeds. After verifying the gas tank and tank connections were all working properly I've moved to the fuel pump. I ran the outboard our of gas removed the 3 screws on the fuel pump but am not total sure where to go form here. 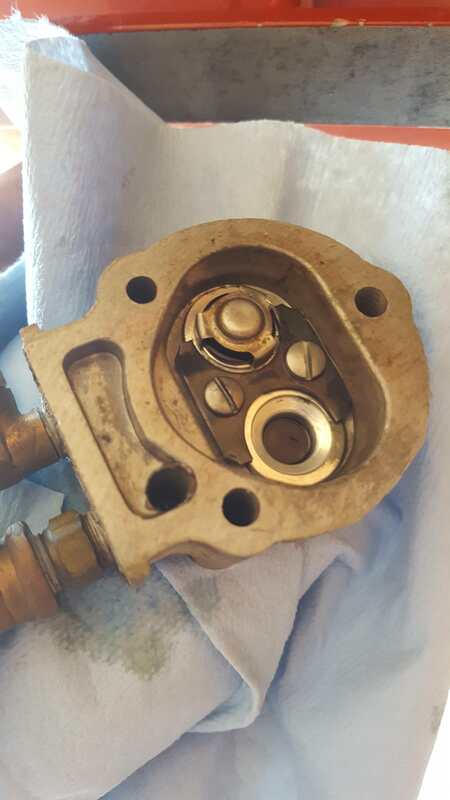 I see the diaphragm that can be replaced but I'm unsure on how to replace the other check valve. Can someone walk me through this really quick? Looks pretty easily but I don't want to mess anything up with only a few weeks left of the boating season! Below are some pictures. Looks like the link didn't work! Below is the image of the kit. It contains the following; diaphragm, gasket, check valve. Howdy, as you surmised it is quite easy. The 2 screws hold down the metal retainer for the check valves. Just note the orientation of the check valves and make sure you put the new ones in the same way. 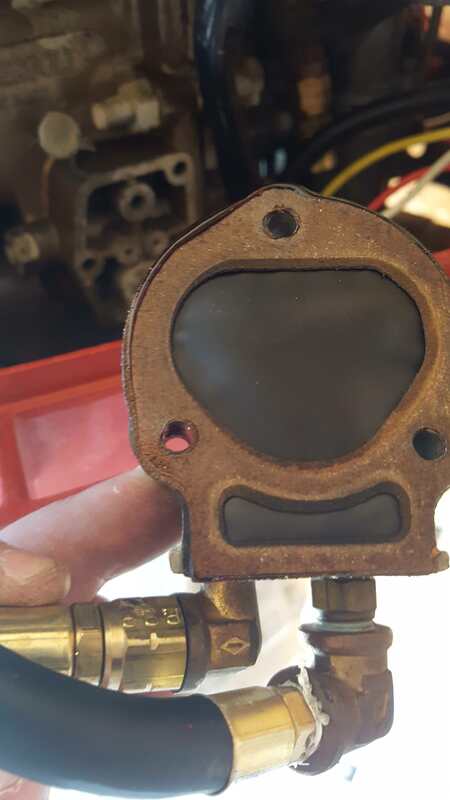 Both check valves are identical, just pointed in different directions. 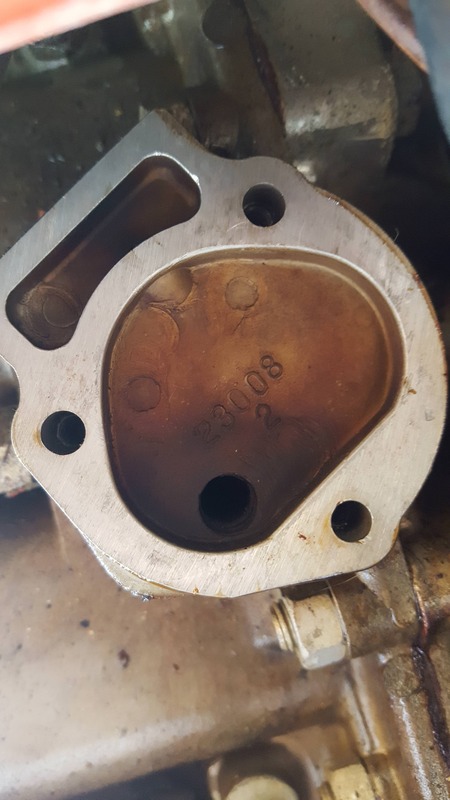 The round cork gaskets go under each check valve. 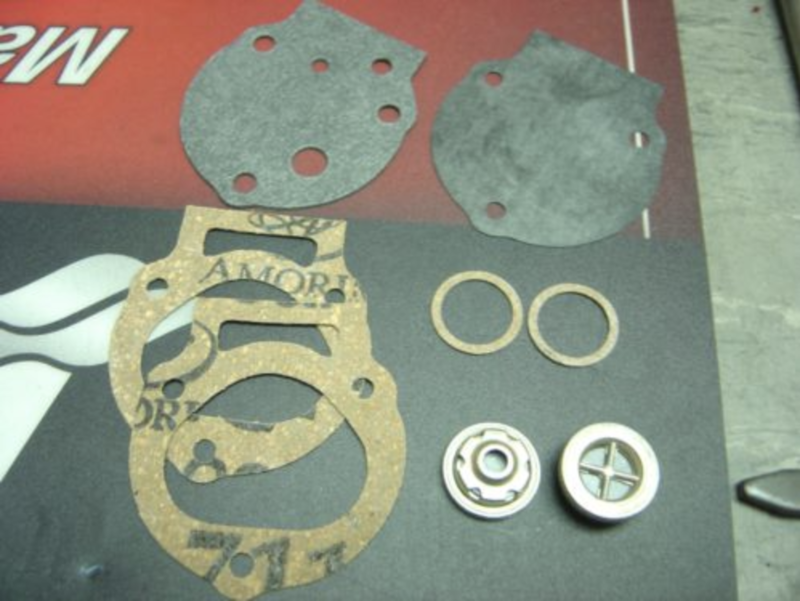 You may have to scrape out the old gaskets if they stick to the body of the fuel pump. Gaskets/diaphragm go in the same location and orientation as the originals. Before you put it together, make sure you blow any loose debris out of the pump. Piece of cake, eh? Thanks Ed! Sounds like a quick project. I'll get back to it this week.